Appalachia Today | Reports from the Transcendent New Nation. This reminds me of the controversy ignited when the City of Charleston (WV) put real spikes on places people might sit in a public park near the bus station. One has to wonder what clientele city planners thought the bus station would attract. 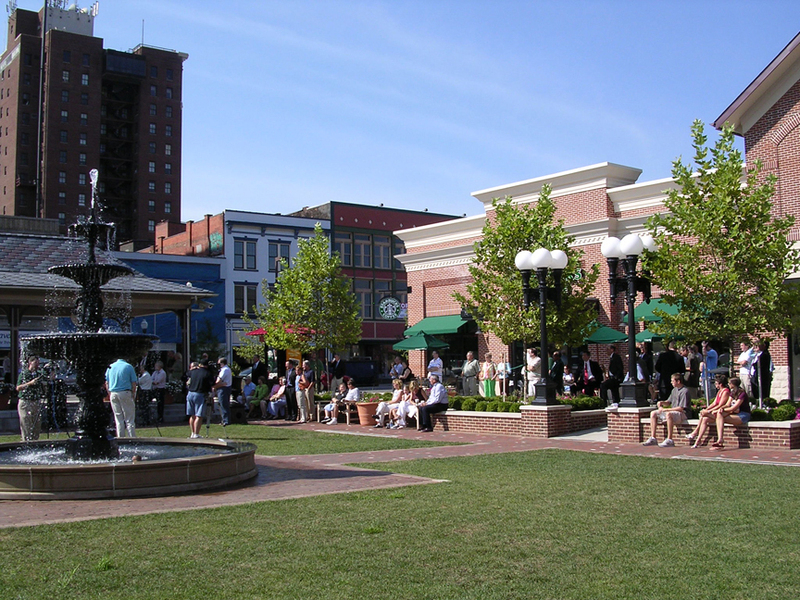 Whatever they thought, or didn’t think, the park on Summers Street is usually lively with folks who don’t live in South Hills. I don’t go there myself, as I’m not sure what conversations I am willing to have. in the quiet of the railway station running scared. Ever suffer from mental overload? That’s where I am right now. A little too much studying, too much thinking. I’ve been reading about William H. (Holly) Whyte, the noted analyzer of public spaces. So much good stuff came out of his studies and I’m trying to sort through it. I’ll tell you more about it in a couple of weeks. For now, join me for a cup of coffee at the Purple Fiddle. Here it is August 26, 2015, and this is the first time I’ve seen this blog, written almost six years ago. I am going to explore, to see if the writer continued to write. I hope so. Outside my window, it’s 25 degrees. Snow is on the ground. My space heater is cranking. I wish it were spring. Remember spring? Remember sitting outside, maybe on a bench, maybe on the ledge of a fountain, splashing water in the background? Go ahead, take a few moments and take a trip back in time to your favorite outdoor place. Is it peaceful? Are there other people to watch? Do you feel safe and secure? Are you enjoying the sun or sitting in the shade? Maybe you’re sipping on your beverage of choice. Nice, huh? Maybe you’re in a completely natural environment. Maybe in the woods or in a park. Or maybe you’re outside your favorite café downtown or in public plaza. My mother, Genevieve, who has made a habit of bearing all things, believing all things, and hoping all things. By Mother’s Day, Sunday, May 10, 1981, I had been a mother for 42 days, enough time to know I was in for a wild ride as co-guardian and trainer for an entity I could already see was going to challenge much of what I thought about myself and motherhood. Katelyn Genevieve came with a set of well defined eyebrows, just like her Grandmother Genevieve’s. She seemed to have a set of opinions she was only waiting for words to express. She had my mother’s name, but as a baby, she more resembled my mother-in-law, Nancy Alexander Kimmons, our No Nonsense Nana, whose level gaze could be as fierce as my newborn’s. The newly arrived Katelyn Genevieve Kimmons met little resistance in taking me prisoner. I grew up listening to my mother’s stories of her own growing up with a childlike parent who became a mother in 1927 at the age of seventeen. Genevieve was a mother first at the age of twenty, and again at the age of twenty-two, when I was born. She was the mom who let the neighborhood kids write on our walls with crayons before she repapered (only later to discover that the crayon would bled through), who only laughed when we turned the house upside down playing ghost in the twilight while she visited a next-door neighbor, who genuinely loved and appreciated the lively wit of the boy down the street who painted his toenails green and wore beachcomber pants. That boy had a reputation for being, you know, strange, but he was not strange to my mom. She just loved him. She enjoyed his company. And years later, when he came by to visit with his partner, she welcomed his friend with open arms, even though if you had asked her to quote what the Bible says about homosexual men, she probably could have. My stay-at-home mother raised me to be a career woman, so I was primed and ready in the late Sixties when the Women’s Liberation Movement launched into overdrive. She was a mother a total of six times before she was finished. I helped diaper, feed, and look after the two boys who came nine and ten years after me, and in September of my senior year in high school, visited my mom in the hospital to see my newborn sister. I was a junior in college when her last boy was born, so I was gone by the time he was growing up. As a young woman, I thought my mother had done our family’s share of populating the planet. I decided I would never have children. Then I was presented with The Choice. I chose the wild ride. Five years later, finding I had not had my fill of babies, I proposed to the man who by then had become my husband that we go for another. Presto. In nine months, Christopher Stenhouse Kimmons made his entrance. We liked to joke that we only had him because we needed to balance the kitchen table settings. He was as laid back at the moment of birth as his sister had been intense, relaxing in my arms in his first five minutes, content to be here. At the time I birthed my first child, a friend was birthing her first published novel. When I birthed my second, there was little time to think about anything else besides managing my family, including a little girl who never knew any authority—an exercise in leading from behind—and holding down a job that demanded daily creativity and energy. The childcare choices for my infant were terribly limited, proved horrifically disappointing for my toddler, evened out in a well-run day care center, and finally came back to me when I began working from home. I sometimes remember the story of the great-grandmother I never knew whose toddler died in the care of an older child one summer day while she worked in the garden. And of the grandmother I did know whose toddler died of cholera many years before I was born. The mothers I have known have always worked, mostly for no pay at all, much less for equal pay at an office. I thought I was ready for the challenges of child rearing by the time I was thirty-one. What I didn’t know then was how much the process of parenting would change me. As Anna Jarvis, the complicated Appalachian woman who invented Mother’s Day predicted, no card’s pretty verse can sum up the experience, no token gift can come close to assuaging the sacrifices a conscientious mother makes for the children she bears. Anna Jarvis never wanted Mother’s Day to become yet another opportunity for commerce. She hoped it would be a solemn occasion for contemplating what women do to make life better. I don’t think it occurred to her that life ever would be easier. My children have taught me at least as much as I ever taught them, and in most respects, what really has happened is that we have learned together as we have forged into the unknown. We’re still learning, together, even though we live with many miles between us. 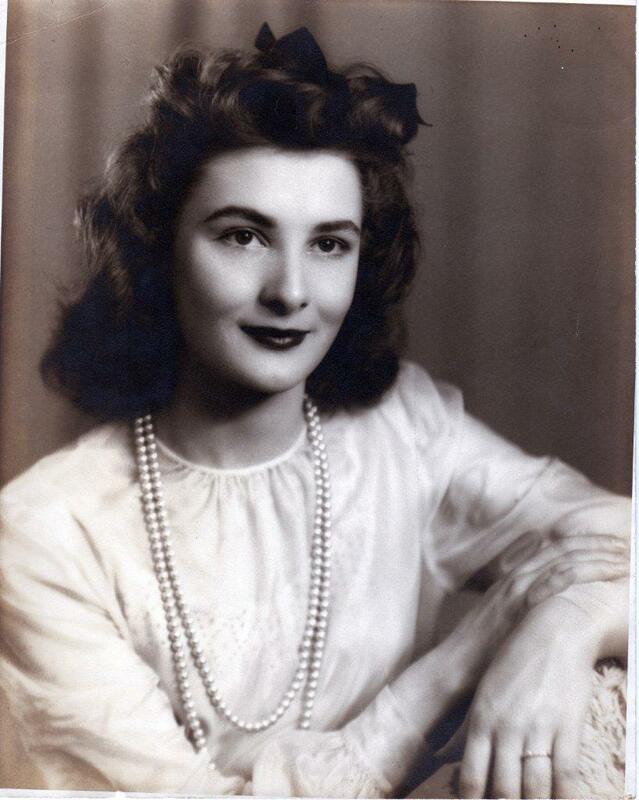 I still infuriate and mystify my own mother, now 85. She wonders how I can love her and not agree. I’m thankful that, to this day, she demonstrates unconditional love, forgiveness, and true acceptance and appreciation for people the mainstream often rejects as strange. How she can listen on the radio to haranguing preachers who yell about abomination, I don’t know. I’m thankful for the lesbian woman in Chicago who has befriended Christopher, feeding him, providing work for him, and generally standing in for me as he pursues the life of a professional musician. My mother’s loving spirit will ride with Katelyn Genevieve Kimmons June 3-9, when she bicycles several hundred miles from San Francisco to Los Angeles to raise money to end AIDS. Mostly, I’m thankful for a mother who clings to the principle of love that allows us human beings to bear all things, believe all things, and hope all things. Because I’ve seen wonderful results from her example, I also cling, however imperfectly, to that same principle. Wow, two blog entries in one day. But I didn’t want to let this day pass without noting that somewhere in the Great Transcendent Nation of Appalachia, someone found some humor in yesterday’s ridiculous election results in West Virginia. I direct your attention to www.westvirginiaville.com, wherein Doug Imbrogno identifies the problem: Obama Derangement Syndrome, or ODS. Sometimes I want to hide my face in my hands. Indefinitely. A couple weeks ago, West Virginia’s John Raese made national news by telling an audience of Putnam County Republicans that the requirement that he post a sign banning smoking on his business property was the same as Hitler making Jews wear a Star of David. Mr. Raese will be running against Joe Manchin in the fall for the U. S. Senate seat once held by Robert Byrd. In a YouTube video, Mr. Raese is shown saying that he believes everyone ought to be able to do as he or she pleases, “’cause I’m an American,” he reasons. Today, I’m feeling numb as I read dozens of Facebook posts expressing shock, sadness, but mostly embarrassment that once again, a great many West Virginians, 57,081 of them to be exact, have proven themselves to be braying asses too stupid to understand the value of their individual vote. They squandered their votes on an imprisoned Texas felon crafty enough to get on the presidential ballot in the State of West Virginia. (Not much craft involved, since West Virginia’s ballot laws are lax.) No doubt, those West Virginians will be the inspiration for much hilarious commentary on this evening’s satirical talk shows. But what about the rest of us? The ones who have either elected to stay in West Virginia, or have come back, often because of family ties? Some of us are deeply committed to a clean environment because it directly correlates to better health for human beings. Some of us are working hard for a diversified economy that will allow entrepreneurs to create opportunity for many years in the future. Some of us see the beauty of West Virginia that is too often obscured by careless industrial practices, the same practices and attitudes that apparently also dull minds. We’re the ones who insist that West Virginia and its people are worth making sacrifices for. Today, some of us have to be wondering why we bother. Sometimes I like to look up words just to make sure someone agrees with me about their meanings. The use of the word ‘pristine’ usually makes me writhe with exasperation, since too often I hear it applied to Appalachian landscapes that may be beautiful but are anything but pristine. Logging and mining companies of the early 20th century left very little untouched in the central Appalachian Mountains of the United States, so the word ‘pristine’ must be used advisedly in this region–unless you just like to see me writhe. Onelook tells me that the word dates from the 1530s when in Middle French it described something primitive, ancient, pertaining to the earliest period, and drew from Old Latin, meaning ‘before.’ Meanings of ‘unspoiled, untouched, pure’ date only to 1899, but, according to McMillion, ‘are regarded in some circles as ignorant.’ They said it, not me. 2012 lies before us, as pristine as this Appalachian mountain snow. Soon we’ll have to march out into it, tracking it up, leaving muddy footprints as we travel along. But for now, it’s marvelous to catch a glimpse of a pure and timeless world, one we can pretend for a moment is pristine. Charleston, West Virginia filmmaker Steven Schmidt created this documentary around an interview with Rock and Roll Hall of Famer Fuzzy Haskins, originally from the community of Elkhorn, in McDowell County, West Virginia. Haskins moved to New Jersey as a teenager where he met George Clinton. Schmidt interviewed Haskins in 2009 when the musician was in Charleston for a West Virginia Music Hall of Fame induction ceremony. This is the nursery that reseeded the North American continent after the last Ice Age. 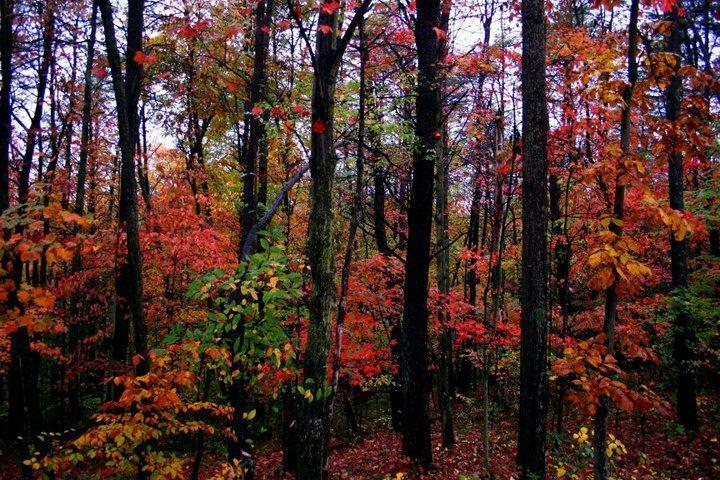 There are few other places on Earth as biologically diverse as our Appalachian hardwood forest. Like all ecosystems, its intricate balance can be thrown off kilter by human action, but it can also be amazingly resiliant if left undisturbed. Someone recently asked why some of us stay and fight so hard what often seems to be a losing battle against wholesale degradation of the land, air and water. One of the answers is right before your eyes. I don’t know who took this photo. I found it on Jim Shaver’s Facebook photo page, but I think it may be another Troy Lilly shot, of ForestWander.com fame. This is the time of year when it seems that anyone with an eye in Appalachia is snap-happy. Views like this are part of the reason so many of us are loathe to leave, and others who have left yearn to return. Even if you live in a town, you don’t have to go far to get to woods and water. 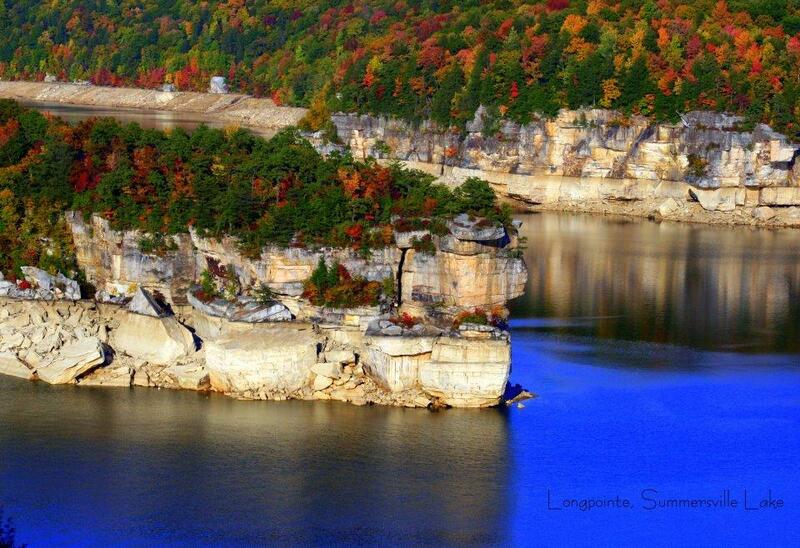 The Gauley River, pent-up behind Summersville Dam, creates this lake in central West Virginia. Just downstream, the river courses through a boulder-strewn riverbed made famous by the whitewater recreation industry as the Upper and Lower Gauley. Every fall, the US Army Corps of Engineers draws the lake down to winter pool. This year, the Corps drained the lake lower than usual to inspect the dam, creating a longer and even more furious whitewater season. Fayette County, WV, photographer Karen Underwood, who took this photograph, predicts that this weekend colors will peak here, just in time for Bridge Day.